FB stock is a best-of-breed name to own, with a possible buying opportunity coming in October. 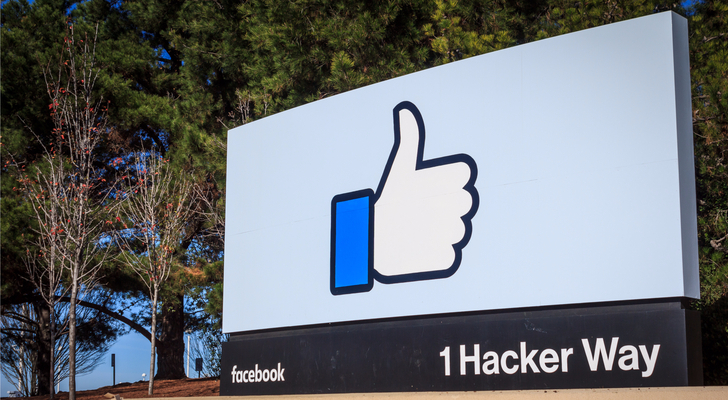 Facebook Inc (NASDAQ:FB) has reported some drool-worthy earnings reports. That’s why the shares are up a ridiculous 56% on the year. Admittedly, that makes FB stock something of a turn-off. But without any clear obstacles in the way, what’s to hold it down? Earlier this month, we peered into the social media landscape. Facebook was the clear No. 1 — having strong margins and profitability, robust user growth and a strong revenue outlook. 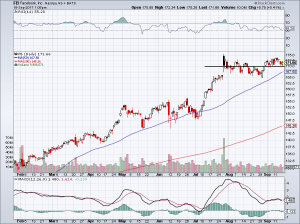 Twitter Inc (NYSE:TWTR) was also then attractive in the low-$16s. Despite its struggles, the platform presented value and it wasn’t hard to see why it could rally from current levels. Snap Inc (NYSE:SNAP) didn’t look so hot. Under immense pressure from Facebook’s Instagram, it is losing a lot of money and has a huge valuation. The bottom line was simple: Facebook is a best-of-breed stock. Not just in social media, but in the whole market. Like it or not, Facebook has become part of our daily (or at least monthly) routine. Whether it’s wasting time on the train, keeping up with friends and family or winding down on the couch at night. Scrolling through Facebook and/or Instagram feeds is a habit. As we know, habits are hard to break. It’s resulted in robust user growth. Last quarter, FB reported daily active users (DAU) of 1.32 billion and monthly active users (MAU) of 2.01 billion. Both figures were up 17% year-over-year. Keep in mind, these figures were from the quarter ending in June, so they have surely expanded since then. Snapchat had been a concern, but those fears have quickly dissipated. Despite questionable tactics, like blatantly copying Snapchat’s top features, Facebook’s Instagram property has been on a tear. For instance, its Instagram Stories feature has more DAUs than all of Snapchat combined.Snap missed earnings and revenue estimates in both quarters, while investors fear its user growth could be in jeopardy. Facebook has beat on both earnings metrics for nine straight quarters. Forecasts call for Facebook’s revenue to grow 42% this year and 30% next year. Even though that’s impressive, at first glance, the price-to-sales (P/S) ratio of 15 looks like an absurd sell, sell, sell! But on further inspection, we realize that FB has massive, fat margins. So much of the top line trickles down to the bottom line. As a result, it may have a disgusting P/S ratio on the surface, but its price-to-earnings (P/E) ratio is far more reasonable.On a trailing basis, FB stock trades with a P/E ratio of 38. Admittedly, this is high. But on a forward basis, FB stock trades at “just” 26 times earnings. 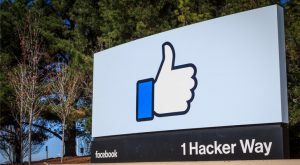 Analysts expect FB to grow earnings an impressive 26% this year and about 22% next year. In this regard, FB stock justifies its valuation. While long-term estimates are less accurate, the five-year outlook calls for 26.5% annual growth, more than justifying its current valuation. Facebook’s trailing P/E ratio doesn’t mean much — it’s all about what the company is going to do in the future. That means video content on Watch. That means chatbots in Messenger. That mean more use of artificial intelligence, ads in WhatsApp and other ventures. There is one hangup, or positive, depending on how you look at it. FB stock does tend to come under pressure at some point in the fall. Over the past few years, this has been around its earnings report in October. Sometimes it’s because of management, saying that ad loads could peak in the near-term future or spending will be higher than expected. Ultimately, these dips end up being buying opportunities. CEO Mark Zuckerberg has already said he plans to take two months of paternity leave later this year. It looks like the first month will be in November, but it’s hard to say with the two months being broken up. Will these lead to less-than-stellar results? I don’t really want to speculate about another man’s paternity leave plans — kudos to him! 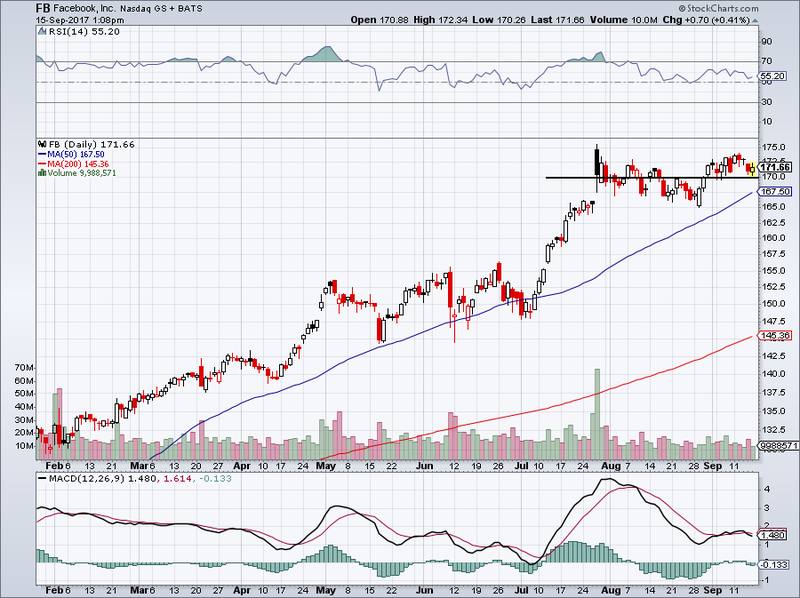 It’s just a possibility that maybe FB will waiver ever-so-slightly, possibly causing a short-term pullback. What I’m getting at, though, is simple: FB stock is a buy for long-term investors on any notable pullback. For traders, $170 looks like near-term support, while the rising 50-day moving average could push FB stock to new highs should it clear $175-and-change. Bret Kenwell is the manager and author of Future Blue Chips and is on Twitter @BretKenwell. As of this writing, Bret Kenwell held a long position in TWTR. Article printed from InvestorPlace Media, https://investorplace.com/2017/09/facebook-inc-fb-stock-long-term-investors-should-buy-on-pullbacks/.